A beautiful gift for yourself or your loved ones, ideally suited to standard A4 frames. Your print will be dispatched in a thick card protective envelope. Prices shown include postage and packaging. The frame shown is not included. 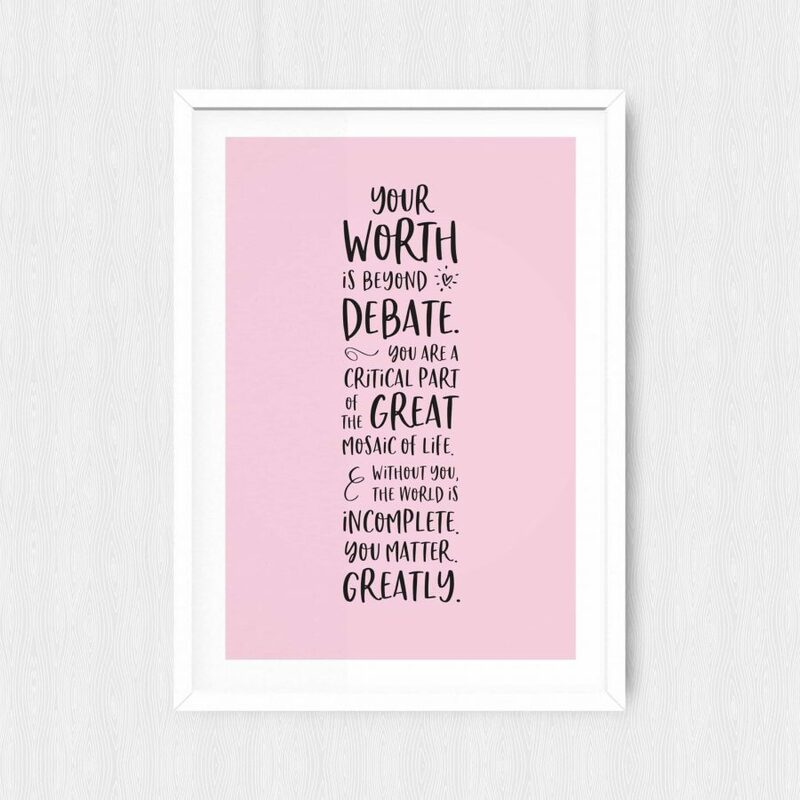 The vibrant You Matter Greatly print is a high-quality, thick A4 print, attractively packaged with the Sparkles of Inspiration branding.